Try the airgun pellets enthusiasts describe as "the perfect hunting pellet," one with "no comparison." 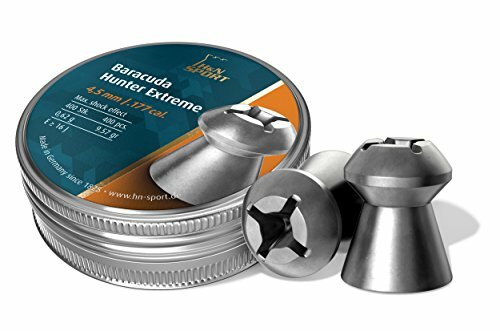 If accuracy is your top concern, you'll appreciate the consistent quality of the H&N Baracuda Hunter Extreme pellets. These unique hollowpoint pellets are perfectly suited for small game hunting and pest control. If you have any questions about this product by Haendler & Natermann, contact us by completing and submitting the form below. If you are looking for a specif part number, please include it with your message.